One of the primary goals here at oldtimejam.com is not only to keep this music alive and thriving, but also to grow and support the number of people playing old time banjo (clawhammer and fingerpicking) and fiddle. 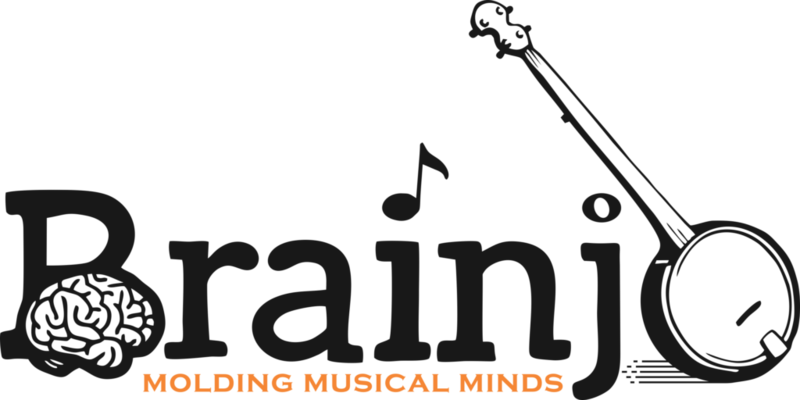 All of the courses below are based on the Brainjo Method of instruction, the first neuroscience based system of musical instruction that specifically targets the adult learner (click here to learn more about the Brainjo Method). Plus, when you join any of the courses (banjo or fiddle), as an additional bonus, you will be able to download the tabs for banjo and fiddle for all volumes of the old time jam, along with the mp3 files of all the backup volumes. Try as we might to overcomplicate it, in the world of banjo, there are really two techniques for playing the banjo: up-picking and down-picking. In other words, we can pluck upwards with the fingers of our picking hand (fingerstyle, or fingerpicking), or we can pick down with the back of the nail of either the index or middle finger (clawhammer, or frailing). The music you wish to make using either of these techniques - old time, folk, blues, pop, etc. - is entirely up to you. And the goal of these courses for banjo is to equip with the tools and techniques needed to make whatever music you wish to make on the banjo, in a manner that's designed to ensure continued progress, and provide the most efficient possible learning path. Clawhammer banjo, which involves striking the strings with the back of the nail of the picking finger, is commonly associated with old time music. It is also the banjo style heard on most of the tracks on the Old Time Jam Machine. That being said, clawhammer banjo is a versatile technique that can also be used to play many different musical genres. And it is also very well suited to playing and singing. Playing old time music and beyond, playing and singing with the banjo, plus many other topics are covered in the clawhammer course. In addition, when you join the course, as an additional bonus, you'll receive the tabs for banjo and fiddle for all volumes of the old time jam, along with the mp3 backup files. While the banjo stylings of Earl Scruggs have held significant influence over the world of fingerpicked banjo, there exists a rich and incredible tradition of fingerpicked banjo far beyond his style. 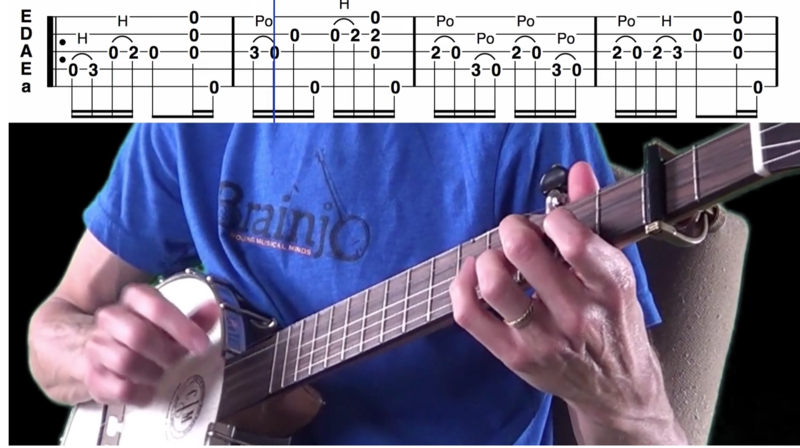 While considerable attention is devoted to learning the specifics of Scruggs style banjo, one of the primary aims of the course is to highlight the world of fingerpicked banjo beyond Scruggs, and to construct a learning path that allows you to freely explore them all (old time fingerpicking, 2 finger, 3 finger, etc.). Years ago when I was trying to learn old time fiddle, I struggled to find a comprehensive resource for learning it, in particular the nuances of bowing and rhythm that make the style so distinctive and compelling. 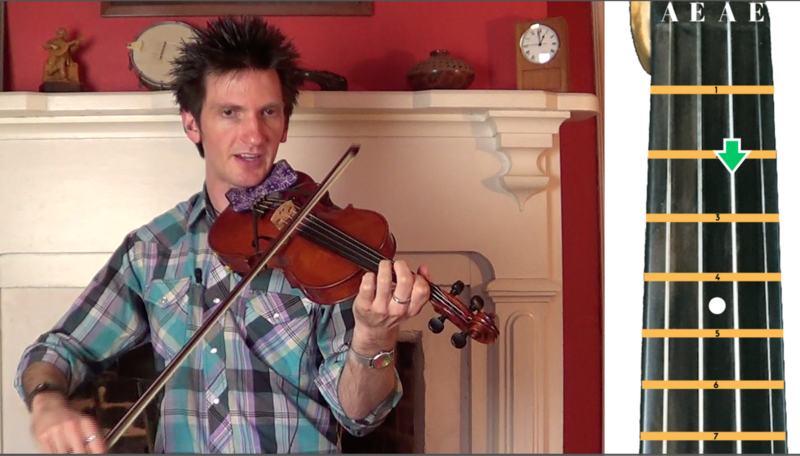 Based on the Brainjo Method of instruction, the Fiddle for All course is a comprehensive, step-by-step course for learning how to play old time fiddle, regardless of age or prior musical experience.